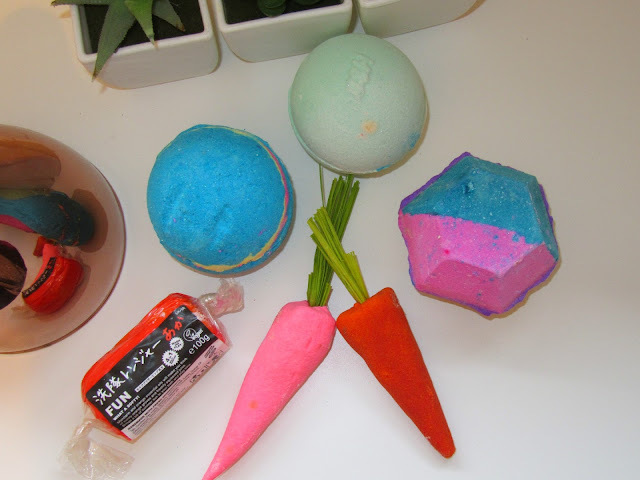 Beauty | Easter Lush Haul. I've been collecting a few new Lush goodies over the last couple of weeks, however Instead of going in once & doing it all in one go, I often find myself going in four times over a fortnight, picking up one item at a time. Why I do this, I don't know? I positively can not wait to pop this one in my bath! The product looks absolutely sensational and I've heard it's even better once popped in the bath. The scent is really sweet and comforting as it contains vanilla, tonka and vetivert oil - I know this is going to be the bath of dreams! Bunch of Carrots Bubble Bar. This was the only Easter related product from Lush that caught my eye this year. This colourful trio of carrots are to be crumbled into your bath under the running tap to reveal the most sumptuous bubbles. I'm hoping I'll be able to get either two or three uses out of each carrot meaning the £6.25 price tag wouldn't devastate me too much. The scent is highly tropical based containing uplifting hints of lemon and grapefruit - A super pleasant mix, which is completely up my street. So it seems the trend for avocados is still going strong. The bath bomb is packed full of fresh avocado, bergamot oil & lemongrass, which all together make this possibly my favourite scented product of all time. I think this is going to be a great one to use on a morning because the scent is so strong and uplifting. I picked this up in a gift set a couple of weeks ago & admittedly have been a little dubious about using it, purely because I don't really know what to do with it. The Playdoh type product can be used either as a bubble bar, soap or shave gel, it really is a multi functional product with a super fun and playful element. Now this is an attractive bath bomb, if I ever did see one. The dark cobalt blue mixed with flashes of pinks and yellows makes this product look totally mysterious and perfect for using on an evening. I can't wait to see how this product transforms my bath, I bet it's going to look amazing! Weirdly this bath bomb has a very warming scent, because it contains cedarwood oil & peppermint it's almost festive, but not quite. 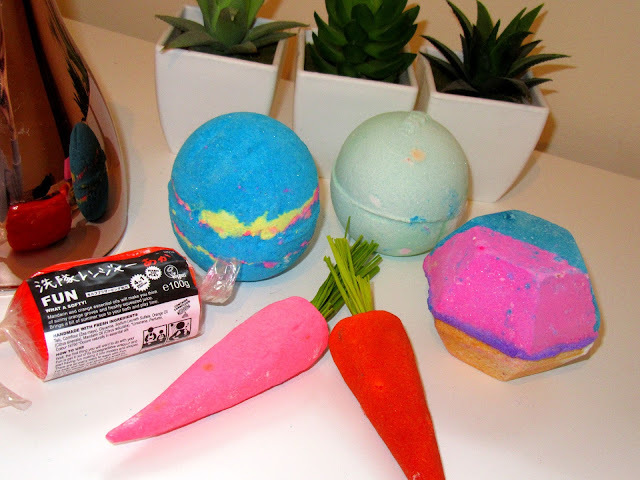 Have you tried any of these Lush products before? Have you got anything else you'd recommend? I'd really love to try some of their makeup & skincare products. 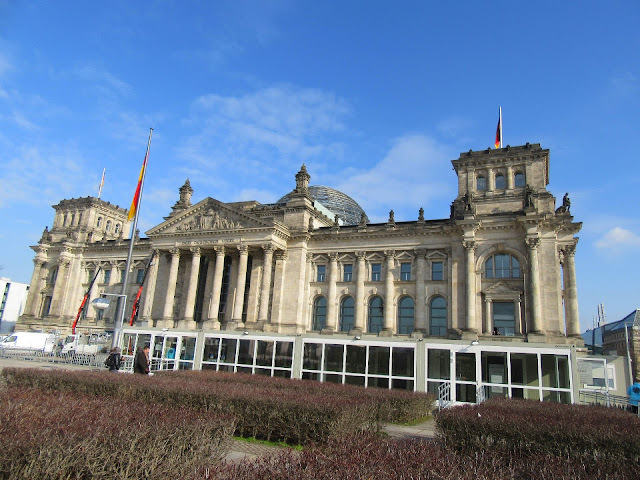 Travel | What to do in Berlin on a budget. It feels like our holiday to Berlin happened months ago as Dan & I have both crawled, rather unwillingly back into our working life with no prospect of any future holidays (Boo!) 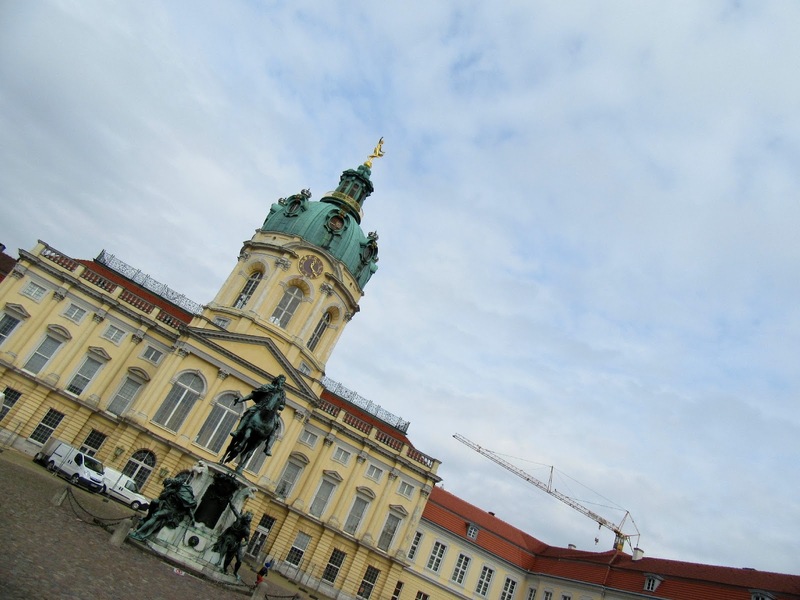 Truth is, we've only been back in the country eighteen days, but our time in Berlin feels like a complete lifetime ago. 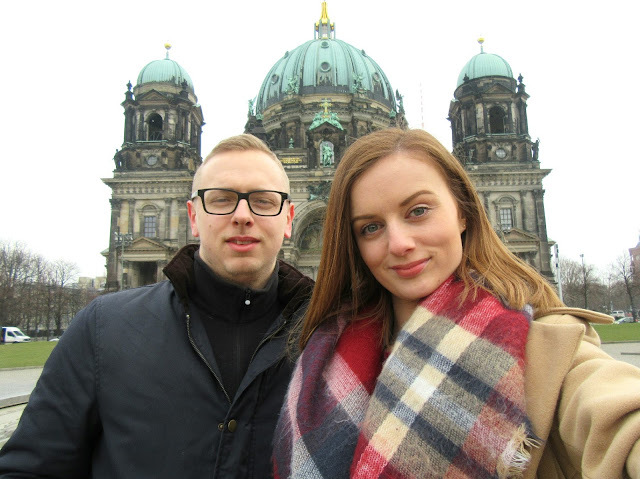 As we've just bought our house we didn't want to spend an awful lot of money while we were in Berlin & although we did pay to do various excursions and museums etc I wanted to talk you through a couple of the things we did for free... Because you don't need to spend mega bucks to have an amazing time. 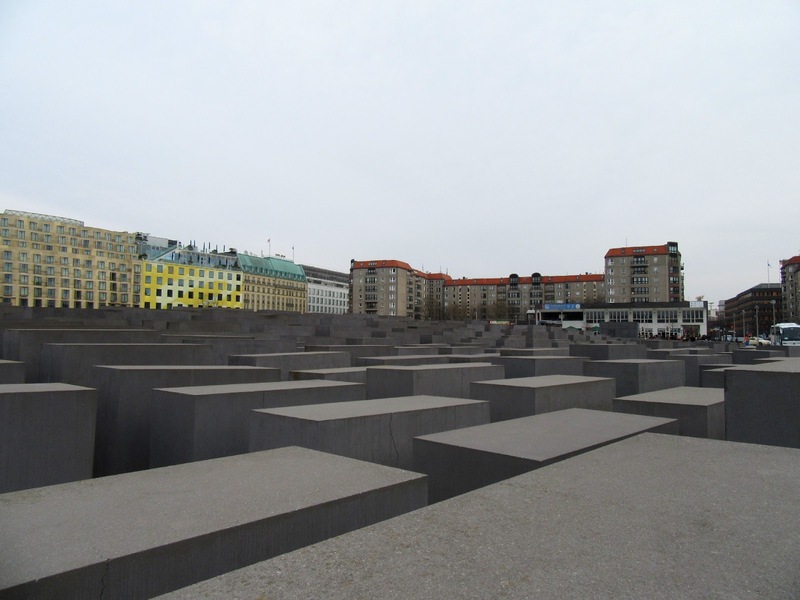 Memorial to the murdered Jews of Europe - I completely believe that no trip to Berlin is complete without visiting the Holocaust memorial. 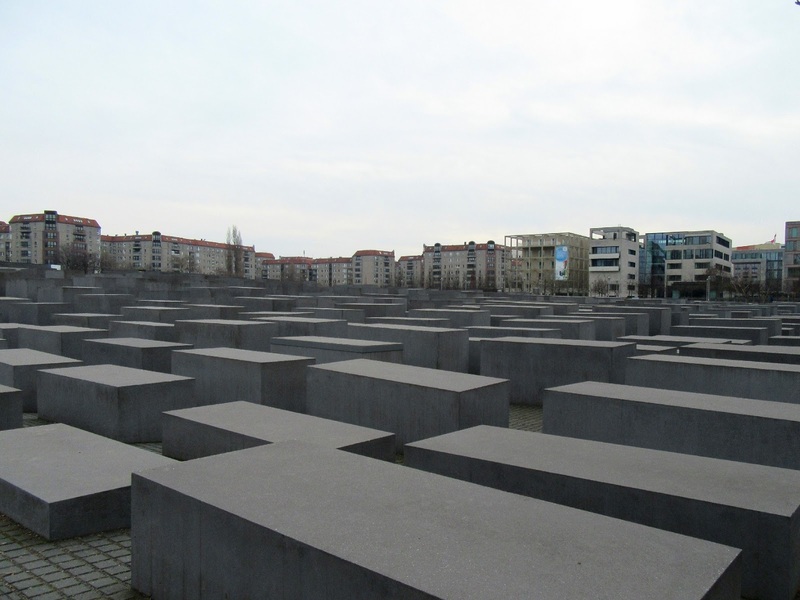 The memorial designed by Peter Eisenman consists of over 2000 concrete slabs which all vary in heights along a sloped field. I was quite naive upon entering the memorial, however as I got deeper in, I completely got it! 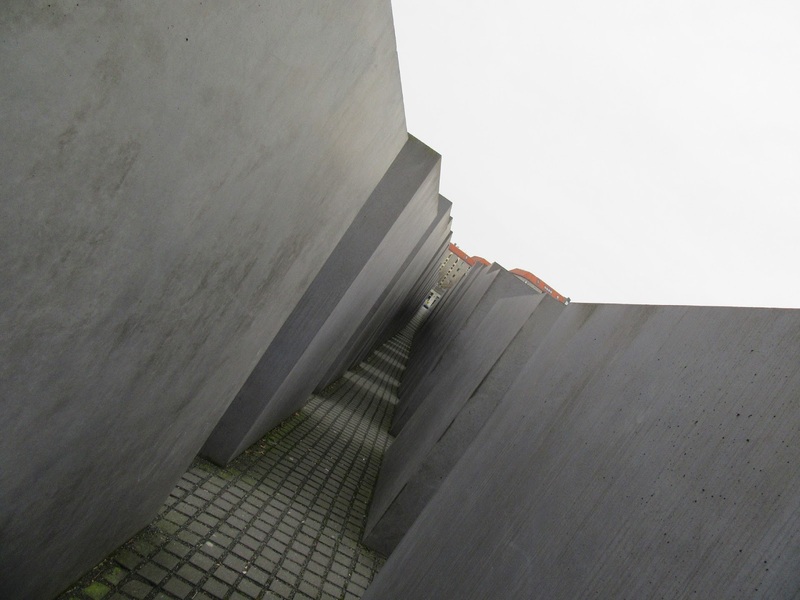 When surrounded by towering concrete blocks, with no visible way of getting out a feeling of eeriness & fright came over me rather suddenly, replicating that emotion felt by Jews. It's one not to be missed! 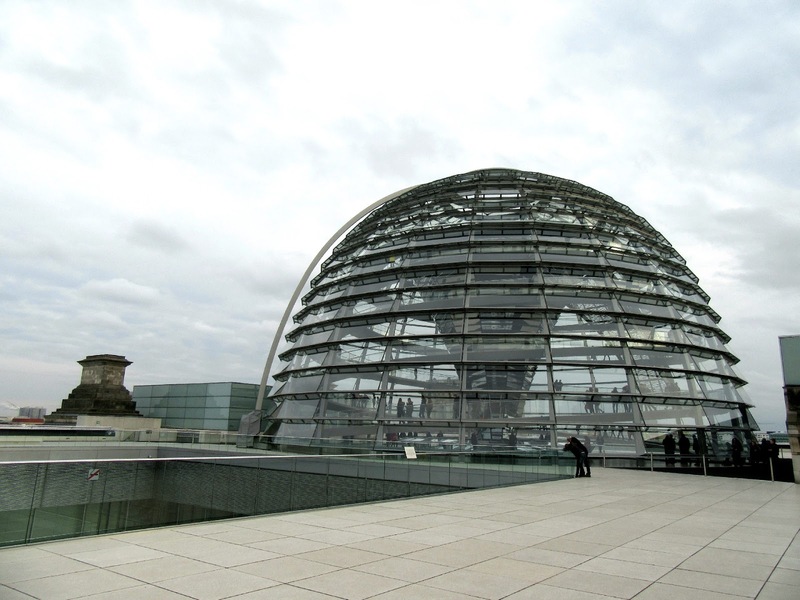 The Reichstag Dome - My inner architecture nerd drove me to visit the dome as it was originally designed by the amazing Norman Foster, the man who never fails to combine contemporary & traditional architecture perfectly. You have to register to visit the dome beforehand however once you get inside the Reichstag the experience is completely free, and alongside the beautiful architecture, the views from the top of the dome are a must see & absolutely exquisite. 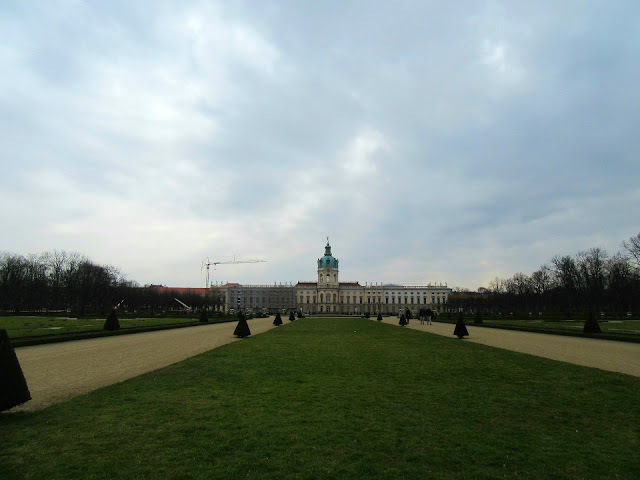 Charlottenburg Palace - This was a fifteen minute train ride from where we were staying, so it is a little venture out but if you've got time to do it, I'd definitely recommend it. The palace is absolutely stunning, but it's the grounds which really took my fancy. 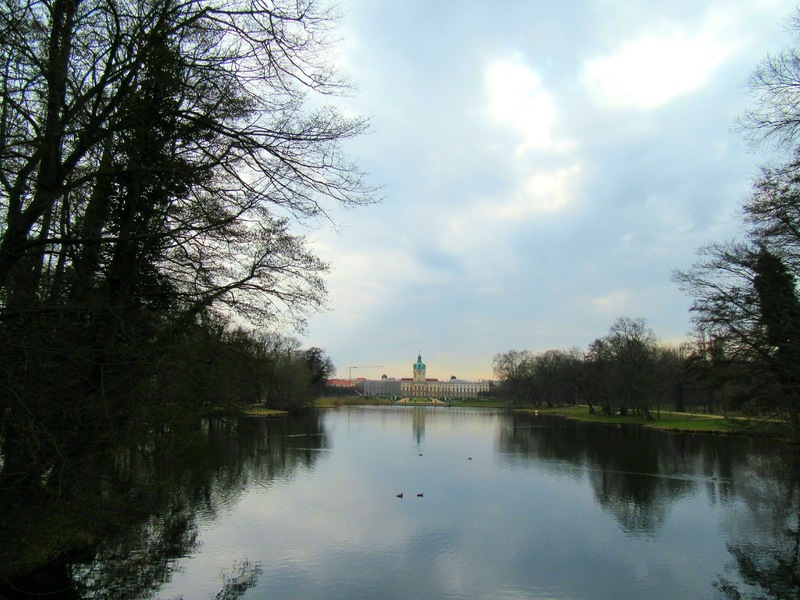 We had a leisurely stroll around the lake for a couple of hours, but take a picnic & a flask and you could spend all day there. It's beautiful! 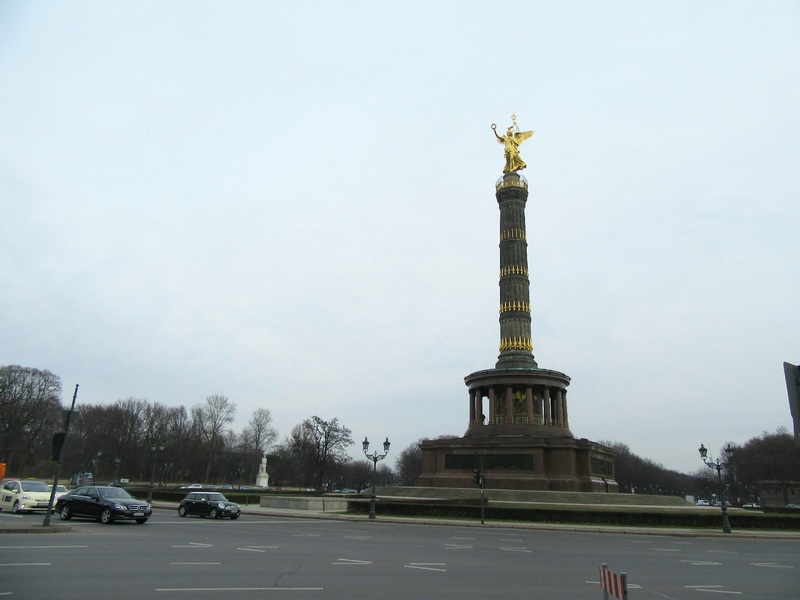 The Victory Column - Okay, maybe this one isn't free, but at £3 a pop it's cheap enough to include. 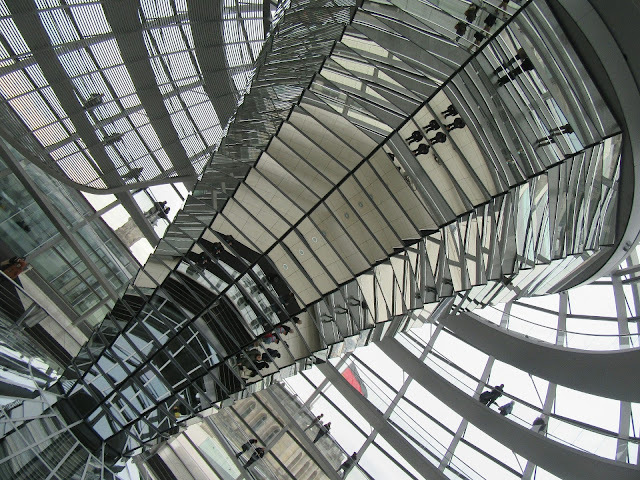 The column contains a small museum at the base however it's the views from the top which we really went in for. 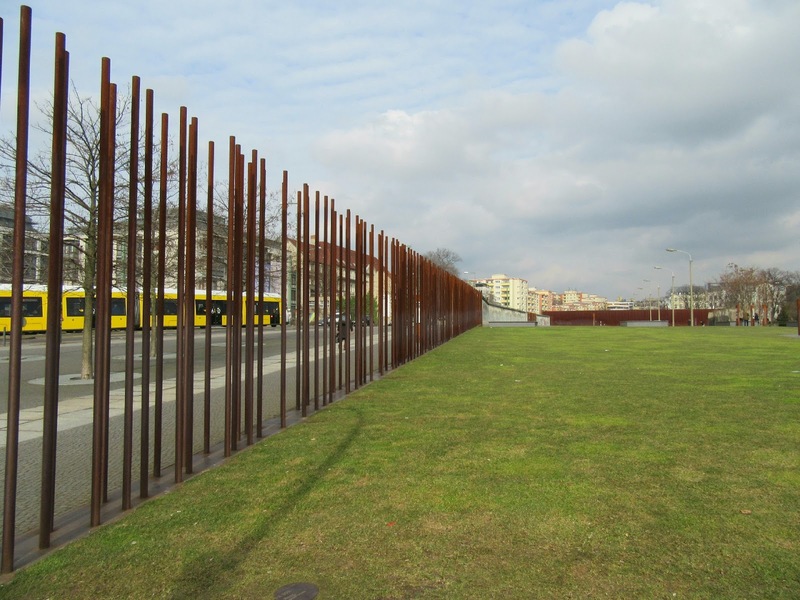 Located in the centre of Teirgarten, a mahoosive park in the centre of Berlin, the views are absolutely insane! The pictures don't really do it justice, but by far these were the best views of the trip. Later on in the week we also paid £17 each to go up in the TV tower which was okay... And by okay, I mean a bit poop. 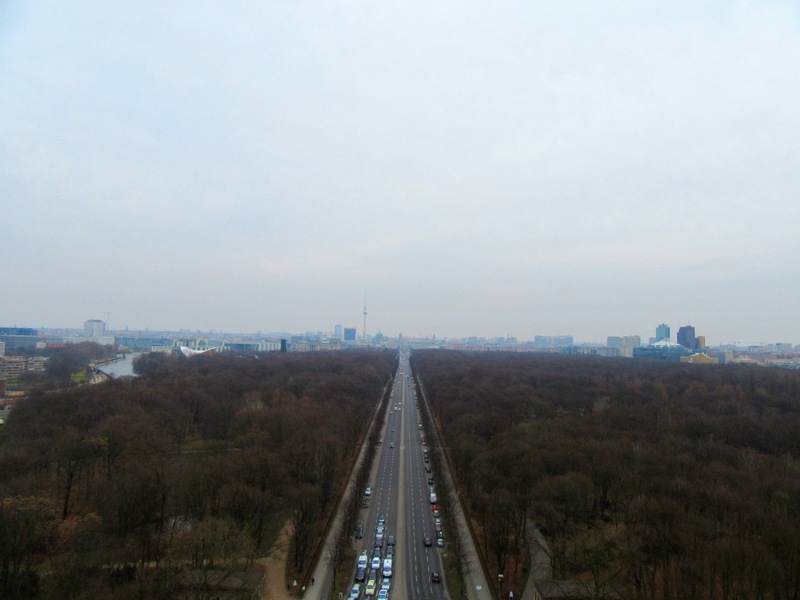 If you're after some amazing views of Berlin, I would urge you to save a bit of money & visit the victory column. 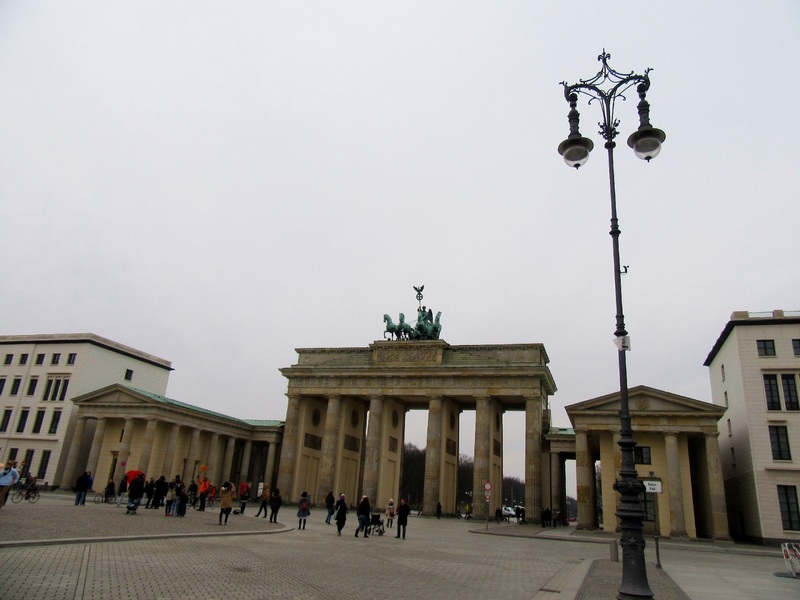 Brandenburg Gate - Granted this is one of those places you go to, to say you've been, but this really is a must see when visiting Berlin. I'd recommend to go down early to see the gate as it's around lunch time when it heaves with tourists. So if you're after some amazing photos get yourself down there just after breakfast. Remains of the Berlin wall - The remains of the wall are situated in parts around Berlin however the structures at the Topography of Terror museum or near the Nordbanhof train station were most impressive to me. 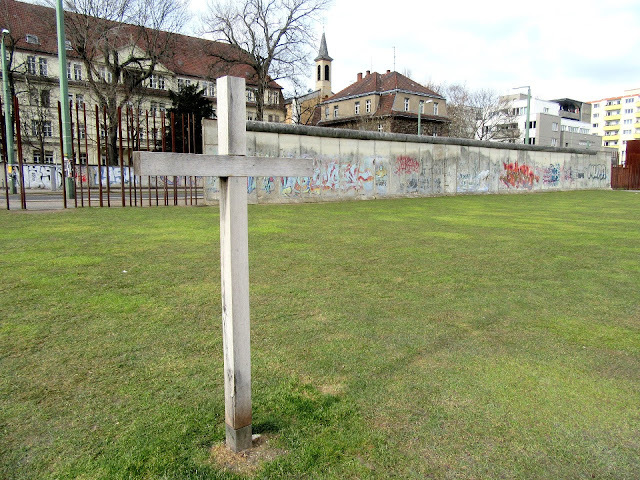 The remains at the latter included various artistic structures which were very tasteful and interesting to view & definitely somewhere I'd recommend visiting. 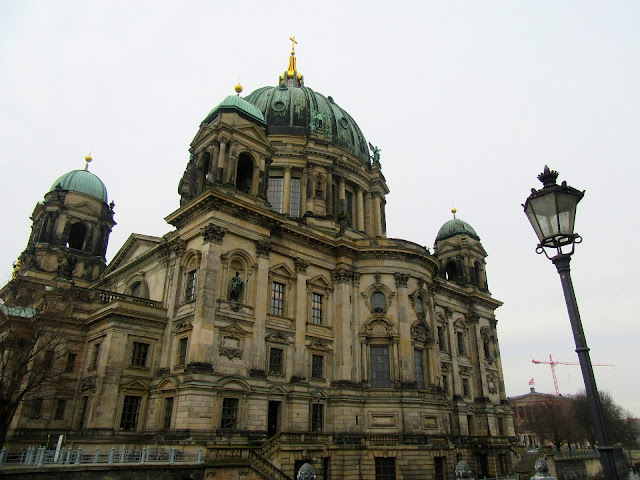 Berlin Cathedral - I've saved this one till last as this was the proposal scene & for this reason this city will always hold a special place in my heart. 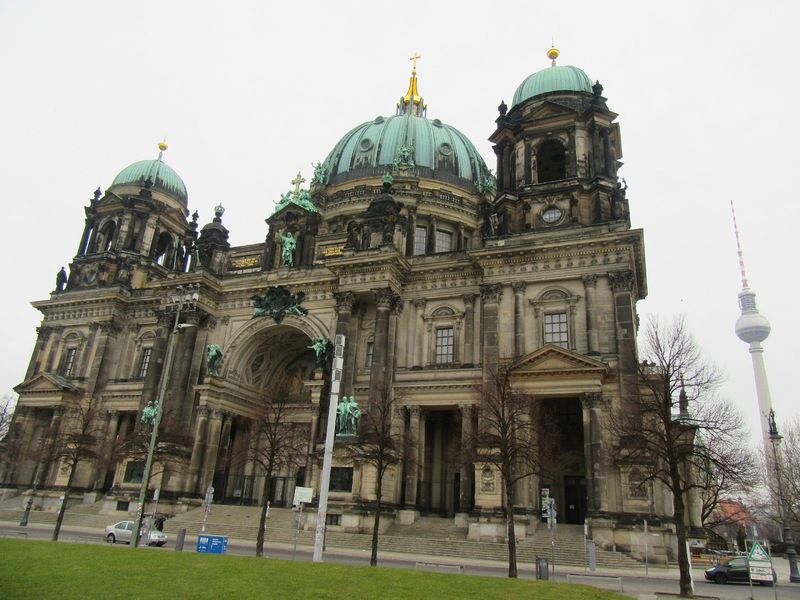 The cathedral boasts amazing architecture along with an atmosphere to match... But maybe I'm biased. Have you been to Berlin before? 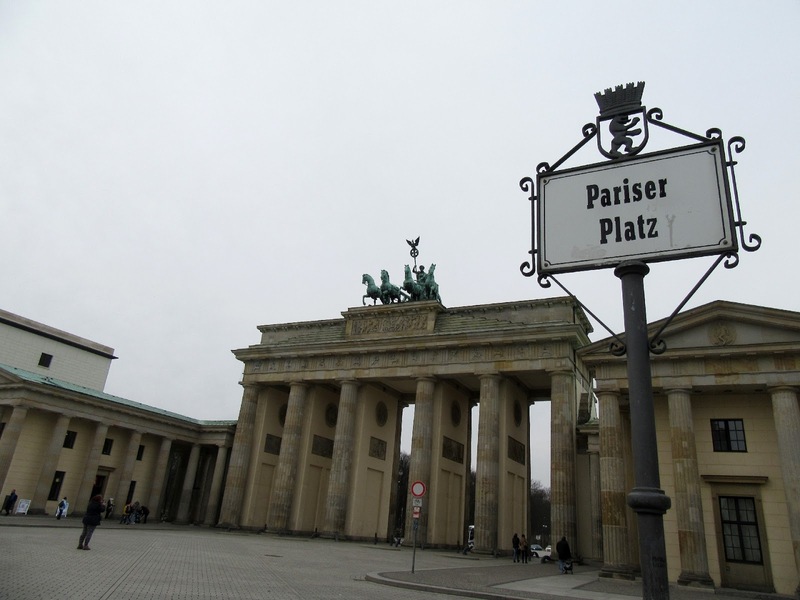 Have you visited anywhere else you'd recommend? 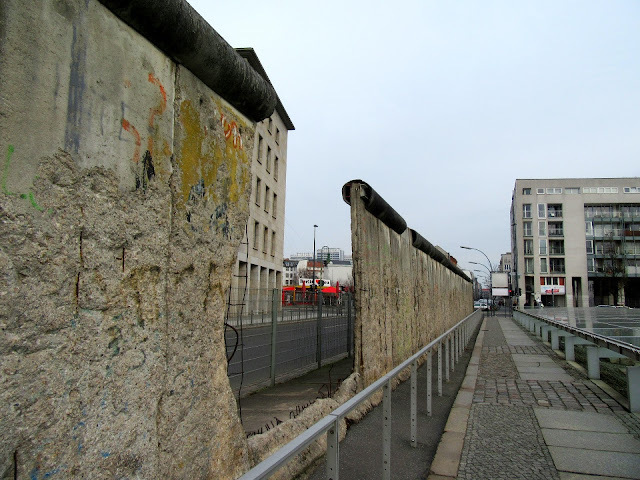 I'd love to know as I'm sure we'll definitely be heading back. 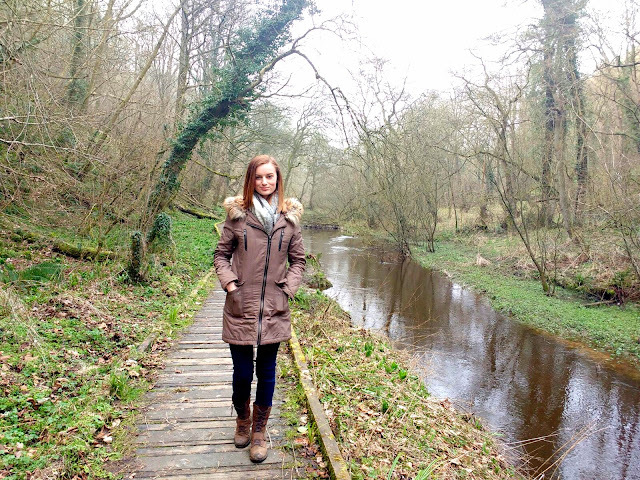 Fashion | Wearing Khaki For Casual Country Walks in Yorkshire. I'll admit it... My name's Claire & I'm a complete country bumpkin! There I said it! I'm 25 years old & I love getting out & about, enjoying the Yorkshire countryside. 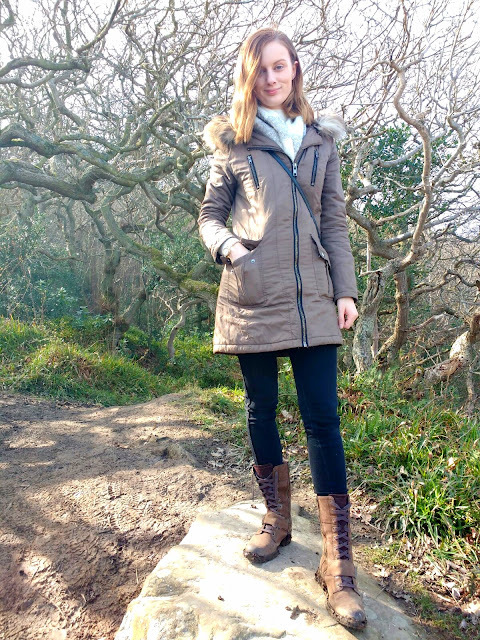 I don't think I've talked too much about my passion for the outdoors, but days out on the moors call for a completely different outfit type, to that of a day shopping in the City - And it's that, that I'll be talking through with you today. Three clothing items I think are imperative when going out walking are sturdy boots, a warm cosy coat & dark trousers... Because you're no doubt going to fall over at some point! Or maybe that's just me being dosey & not watching where I'm going. 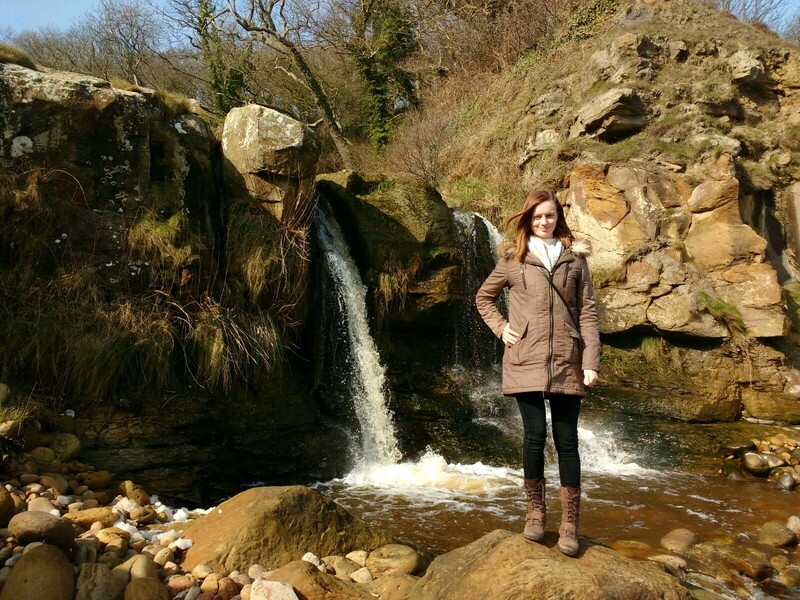 On a recent walk along the Yorkshire coast to Hayburn Wyke waterfall I chose to wear my trusty Timberlands, which I picked up at the York designer outlet for an absolute steal. These boots have been absolute life savers for me & a brand I would totally recommend for outdoor activities. They're fab! I like wearing jeans too when I go out walking as they keep me super toasty, I know people don't always approve as they can be quite restricting sometimes, but for me being warm is so worth it! On top of everything I always throw over my parka - Honestly I never have this thing off my back! This coat has served me so well over the years & it works amazingly well at keeping me warm when I'm out all day walking. So todays' OOTD is a little more practical (and possibly boring) than usual, but I wanted to let you guys into an extra little part of my life. Once the weather gets warmer, which won't be long hopefully, I'm wanting to post much more outdoorsy things on the blog & really make use of this wonderful countryside we're surrounded by. Who needs to go abroad? I don't know if you've noticed, but I've been away from my blog for a couple of weeks. One was intentional... As I was jetting off on holiday however the other was completely unintentional. I've been way too distracted recently as something pretty flipping exciting happened in my life while Dan & I were on holiday.... He proposed! I can't believe it! 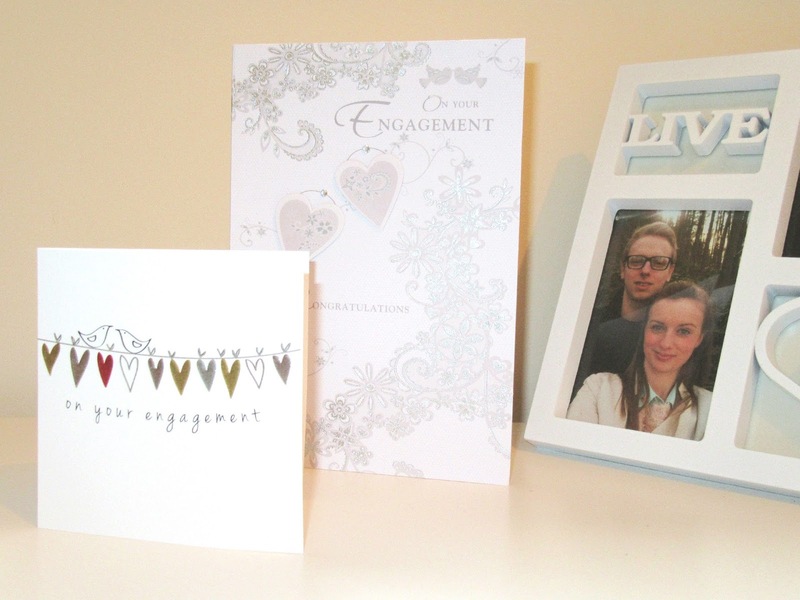 I can still feel the butterflies fluttering away in my stomach, thinking back to the proposal moment. It was just perfect! Even more perfect than I could have imagined! It's such a surreal feeling. I'm completely thrilled & I don't have enough words to express how absolutely over the moon I am at the moment. So todays' post is just a short one, but I wanted to let you guys know why I've been MIA - It's all for a good cause I can assure you! 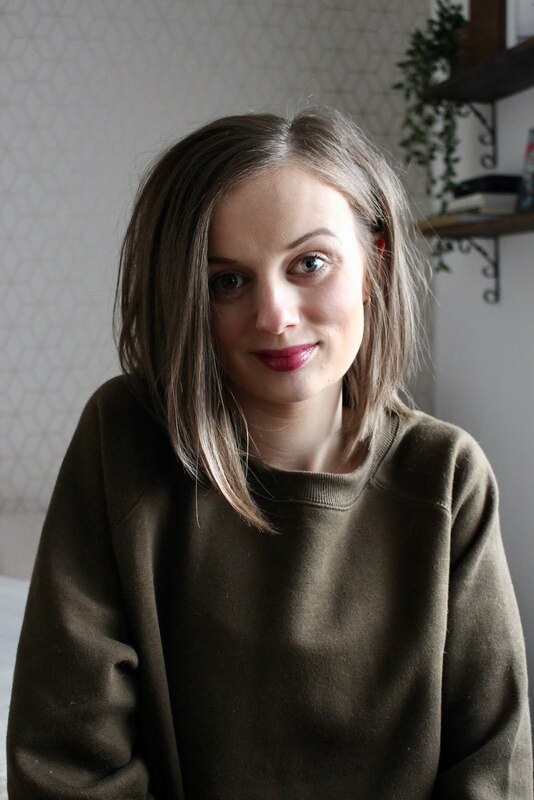 I noticed that the vast majority of beauty posts on this blog are dedicated to lip products. 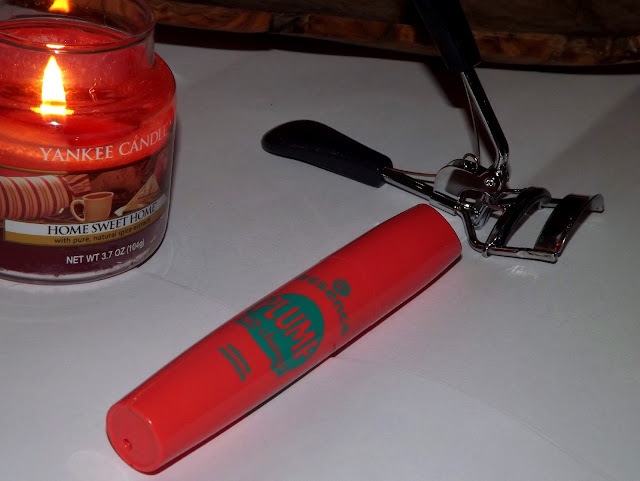 Now I like lip products, God knows I freakin love them, but I wanted to introduce a bit more variety to ClaireMac in the form of other cosmetics, skincare and bath product reviews. Today I'm bringing a £2.79 mascara to the table which my friend described to me as 'the best mascara she'd ever tried'... Well there's a bold statement if I ever heard one! I was too intrigued not to pick up this vibrant tube of so called deliciousness so I headed down to my local Wilko's & straight for the Essence Plump No Clump mascara. Being a budget makeup brand, I don't really expect the world when it comes to packaging however I do find the mix of peachy pink & teal to be a little bit tacky. Don't forget though, it's what's inside that counts, so I'm never one to dismiss a product based on it's packaging alone. Something else that put me off (not going so well is it... Just hold onto your hats) is the huge plastic brush applicator that's revealed once you open the product. I'm not a massive fan of the larger brushes, as it can be really difficult to reach the smaller hairs on the inner & outer eye area... However (I'm a tease aren't I?) I had absolutely no difficulty whatsoever with this! I don't know why I was worrying! I prefer plastic brushes for my lashes anyway but there's something rather deceiving about this one... It looks all big and clunky, but when it comes to the crunch, it's amazing at dispersing the product perfectly onto the lashes. The product itself is brill! I find it separates my lashes brilliantly. 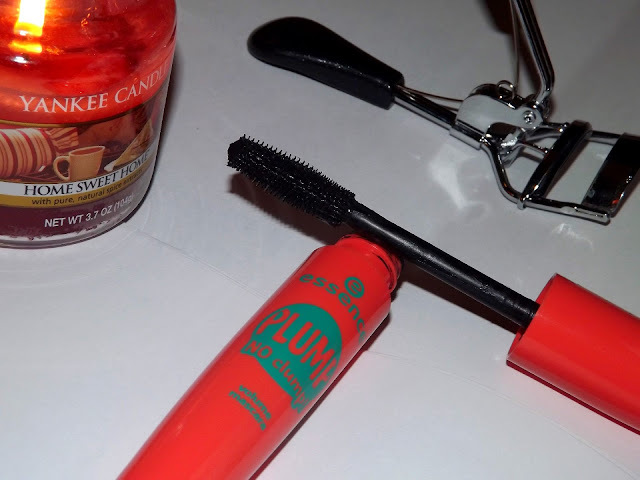 It reminds me very much of the Loreal Telescopic mascara, which was a massive favourite of mine many moons back. I should probably reinvest in that again actually - It's an amazing mascara! Anyway, before I get totally distracted, I love how buildable the Plump No Clump mascara is, one coat is perfect as an everyday look, however if you want a more glamorous appearance, this mascara will easily give 3 or 4 coats to your lashes without clumping... Exactly as the name suggests. Who'd have thought it?!? I bought the shade black however Essence also do this mascara in a deep black as well which I'd love to try. I think it'd be the perfect mascara for a night out, especially after a few coats - It'd look ace! Have you tried any Essence products before? This is my first ever Essence product but because I liked this one so much, I placed an online order for a few other bits. Woop! Have you got any products you'd recommend?